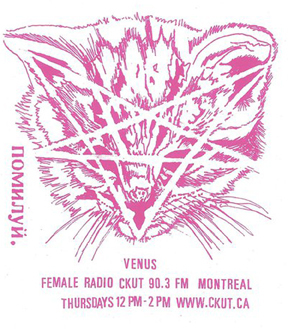 Venus Radio works to bring you feminist, queer, female, trans, and gender non-conforming perspectives through music. We want to combat and address patriarchy as it impacts the music industry, both mainstream and beyond. Our primary objective is to celebrate music of all genres and all forms of artistic expression by women, queer people, and gender non-conforming folks on our show, as well as through our blog, events, outreach, and partnerships. Venus is live every Thursday from 12:00-14:00.